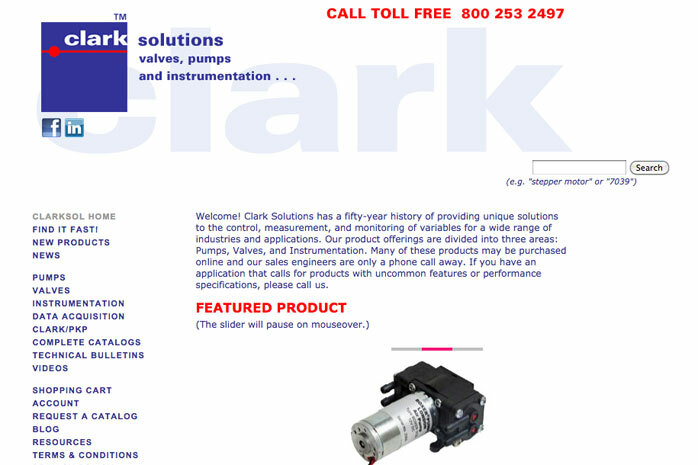 Clark Solutions needed a working site that could accommodate literally hundreds of products and make them easy to find and include a huge volume of technical information about each product. Their site grew to include also product-specific informational videos and other resources for their engineering clientele. The site is updated on an ongoing and frequent basis with new products and new information about their existing products.